As I mentioned in a previous post, we are trying to change our eating habits a little bit at a time around our house. We don’t want to go on a complete diet where we can only eat certain foods, but at the same time we do want to eat a little bit more healthy. A problem that arises when we try to eat healthy is that sometimes it seems like it takes too long to create dishes that are fresh and healthy. We like to think sometimes that anything that can be made quickly can’t be fresh, because you just throw it in the microwave and are ready to go. This is not always true though. 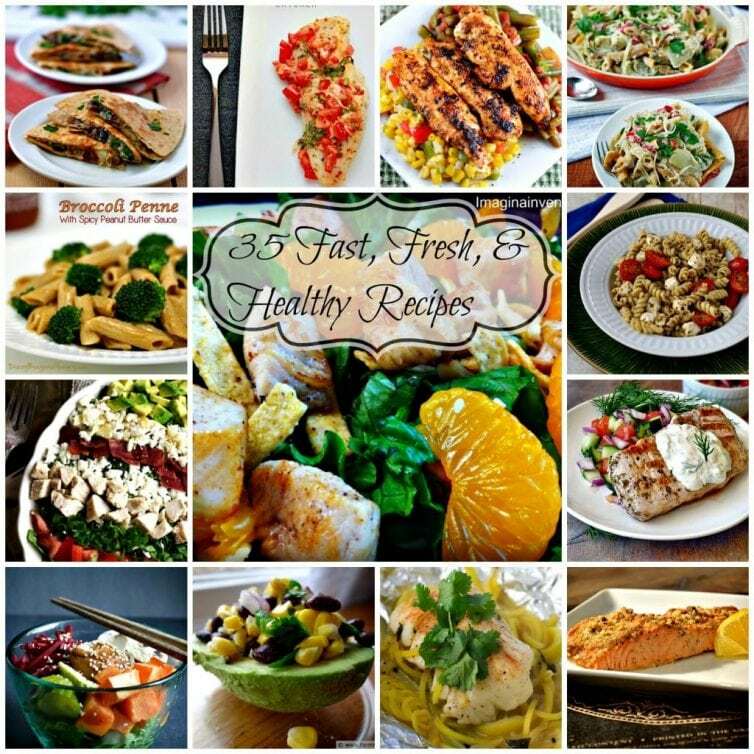 There are so many delicious meals that are fast, fresh, and healthy as the title of this post states. I find that when I eat food with fresh ingredients, I don’t feel as full and uncomfortable afterwards. I have more energy and I am better able to take care of my kids. That is why I decided to search out these recipes that are fresh and healthy, and which can be made in a relatively short amount of time. All of the recipes listed below include at least some fresh ingredients, they are all relatively healthy, and almost all can be prepared in 30 minutes or less! There are some that take a little bit longer, but they all take less than an hour for sure. If you are like us and are trying to eat more healthy, I hope that at least some of these recipes will be appealing to you and that you will give them a try. Also, I would love to hear your feedback and comments about what you do to eat more healthy, and what your favorite recipes are, so leave me a comment below if you have some great ideas that you want to share or any recipes too! I agree that what you eat really does affect how you feel. This is a nice assortment you’ve put together!